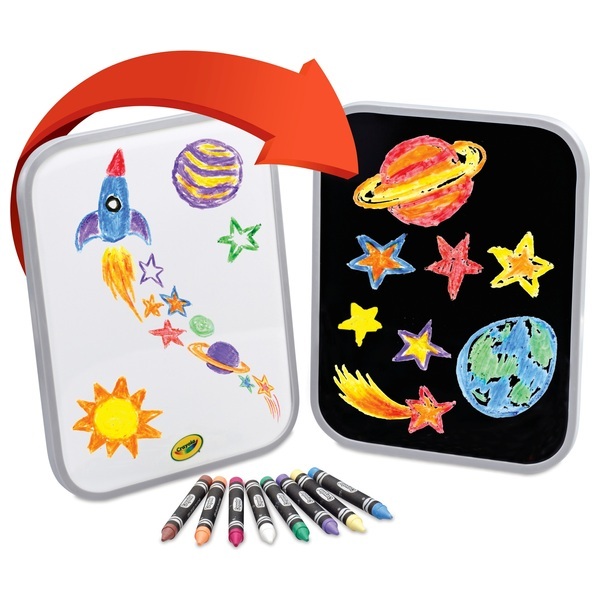 Write or draw with the special, brightly colour dry erase crayons and simply wipe off with the machine washable mitt. Create, erase, create again. Two surfaces, one white, one black. Write or draw with the special, brightly colour dry erase crayons and simply wipe off with the machine washable mitt. Erases cleanly, but won’t easily brush off. Contents: Dual-sided dry erase board, 8 washable dry erase crayons in bright colours and a machine washable eraser mitt.